There are many reasons why you might want to become an agricultural worker. It’s possible that you simply enjoy doing what you love: being outside in the sun and doing healthy work. The Bureau of Labor Statistics defines an agricultural worker as someone who “maintains the quality of farms, groups and livestock.” While agricultural work is extremely difficult labor, it’s also often a labor of love. In addition to this, the agricultural industry is one of the steadiest industries in the world. There are many government subsidies throughout the United States for agricultural work, which means that those who are skilled in the agricultural profession will always have steady work available. 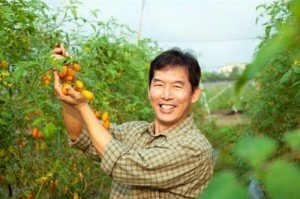 What Does an Agricultural Worker Do? An agricultural worker needs to be willing to work outside, but for many this can be a relaxing and fulfilling occupation. Some workers will work directly with livestock, some only with plant crops and some with both. The work can be difficult but rewarding, and many workers will find that they will be in very good shape. However, they do need to take care of their physical health, and having personal disability insurance as an agricultural worker is advised. Agricultural workers will often work directly with farm equipment and they will often have seasonal work schedules. This means that an agricultural worker may get longer hours, and more pay, during seasons that crops need to be harvested. At the same time, they may get time off outside of these seasons. Becoming an agricultural worker is actually easier than most professions. To become an agricultural worker, you need no formal training nor do you even need a high school diploma. This makes it an excellent job for those that do not have a traditional education but are still willing to work very hard for their pay. Animal breeders, however, usually require at least a few years of experience, as do workers that work closely with specific types of animal. Most agricultural workers will get trained on the job, and there are many types of crops and farms which means that training will often be based on a specific job. Agricultural work can also be a good job for those that are just entering into their careers. An agricultural worker needs to be strong, patient and attentive. Many people hiring agricultural workers will look for someone who can listen and take direction very well. They should also be able to work well with others. Agricultural work is a field that has a lot of churn, which means that many people will be coming and going at any given time through the farm. This necessitates an ability to do well with varying personalities under difficult situations. Agricultural workers also need to be physically strong enough to perform the work, which can be quite difficult. They also need to be very agile and dexterous, because using farm implements and other equipment can require this. Agricultural workers that do well in the industry have opportunities for advancement, such as becoming a crew leader or another type of farm supervisor. This requires that the worker show leadership abilities and always be willing to go the extra mile in their work. In many areas, being bilingual will help in becoming a supervisor, though this is not true in all areas. According to the U.S. Department of Labor, you can become an agricultural inspector with some training and a degree. Those that get a degree in agricultural science can also become a scientist that studies agricultural methods of food production as well as food itself. Biological degrees can go towards genetically engineered crops and other areas of agricultural science.